Rolling green hills, cozy villages, covered bridges, maple trees--these are the images that have made Vermont. Residents and visitors alike appreciate Vermont for its old-time values that have steered clear of the modern world. But Vermont's traditional values have been challenged and adapted--and even consciously sculptured. Vermonters have shown great creativity in preserving the past while admitting the new. 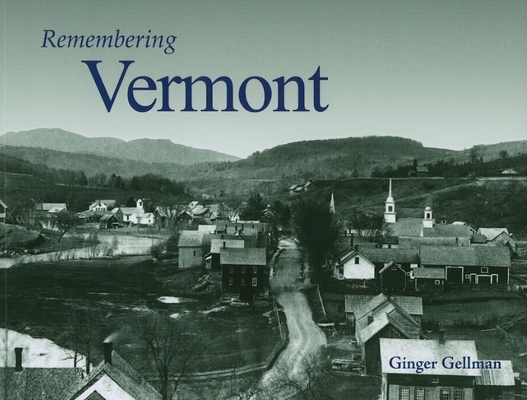 With a selection of fine historic images from her best-selling book Historic Photos of Vermont, Ginger Gellman provides a valuable and revealing historical retrospective on the growth and development of the state. Remembering Vermont tells the story of the nation's 14th state in more than 125 vivid black-and-white photographs, all printed in an attractive and handsomely bound format. Integral to Vermont's story of creativity are people like Ara Griggs, a one-man patrol who once enforced state laws on 15,000 miles of roads. Or Gilbert Hastings, who put a toy whistle in every loaf to move bread off his grocery shelves. Or J. Allan Clerkin, who ran a blacksmith shop in Jericho in the days of the horse and buggy. Take this journey into the past and discover the Americans who built Vermont and why it is they cherish the land they call home.